Globalization is shifting economic power to different geographies, with emerging markets powering aviation growth. Urbanization is bringing upward mobility within societies and fueling air travel, while privatization and deregulation are making air travel cheaper. 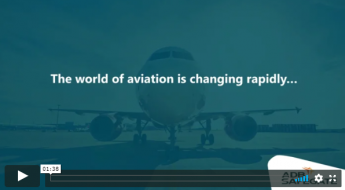 Advances in technology and digital transformation are bringing possibilities to airports, yet also creating new demands from customers and added cost pressures. How to capitalize on the opportunities? Airports need to constantly explore how to capitalize on the opportunities while managing capacity and growth. Airports structured in “stakeholder silos” with gate, airfield and tower operating independently, often suffer problems in gaining an overview of the complete sequence from approach to departure. Gaps between systems and stakeholders are also created. Quite often, existing infrastructure is not used in the most efficient way and often prevents airport operations from reaching full capacity. While infrastructure or runway expansion may seem like an ideal solution to bottlenecks, at ADB SAFEGATE, we believe the answer lies elsewhere. Airports can do more with what they already have and we can help unlock the hidden potential for airport traffic expansion. ADB SAFEGATE is a leading provider of intelligent solutions that deliver superior airport performance from approach to departure. The company partners with airports and airlines to analyze their current setup and operations, identify bottlenecks, and jointly solve them using a consultative approach that enables airports to improve efficiency, enhance safety and environmental sustainability, and reduce operational costs. 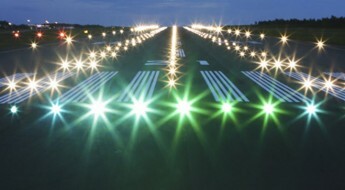 Our integrated portfolio includes solutions and services that harmonize airport performance, tackling every aspect of traffic handling and guidance, from approach, runway and taxiway lighting, to tower-based traffic control systems, and intelligent gate and docking automation. ADB Safegate has more than 900 employees in more than 20 countries and operates in more than 175 countries, serving more than 2,500 airports. 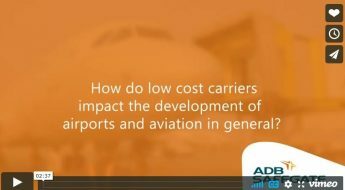 How do low cost carriers impact the development of airports and aviation in general?